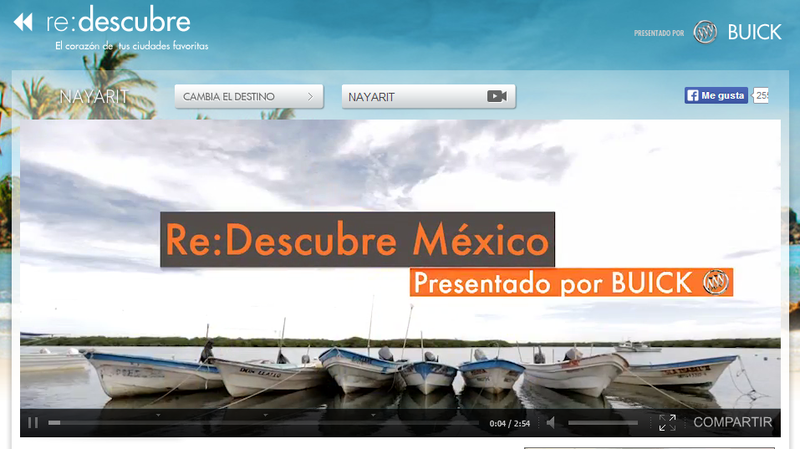 Buick Mexico’s new campaign called “Re: Descrubre México” (“Re: Discover Mexico) seeks to promote the brand’s vehicles by transporting them to amazing locations. During this first phase they brought their cameras to San Blas and other areas of the Riviera Nayarit. The Buick Mexico brand began an advertising campaign called “Re: Discover Mexico” in order to showcase its vehicles in fabulous locations. Thanks to the strong positioning of the destination as well as Chef Betty Vázquez’s popularity, Buick couldn’t resist including San Blas in its first phase of production. This is a brand new campaign, which began with trips to Baja California, Guanajuato, Yucatán and now Nayarit. They shot four different spots in Nayarit: the area’s culture and nightlife, both shot in Tepic; and ecotourism with guide Francisco García as well as gastronomy with Chef Betty Vázquez in the area of San Blas. This is the same Chef who strongly supports these types of private enterprise campaigns, where the marketing strategy also promotes the beauty of Mexico and, in this particular case, the Riviera Nayarit. On this occasion, Buick is also seeking an alliance with MSN in order to expand their reach. It’s thanks to this mega network, which is linked around that world, that so many people are talking about the Riviera Nayarit on a domestic and an international level during the month of June. By the way, the culinary spot was the only one that included a published written interview as well as the video. “We need to understand that one can’t walk alone anymore, life happens within a society. These alliances are going to allow us to more easily reach our goals within a shorter period of time and with a broader vision. And thanks to them, we’re all going to benefit,” said Betty Vázquez. The spots from the Riviera Nayarit highlighted by these promotional videos included La Tovara, Playa Las Islitas, Mexclatitlán Island, the Marietas Islands, Punta de Mita and, of course, a fair bit of surfing and the waves. This campaign has already been running in the United States for the past four years; now in Mexico it’s scheduled to continue until Buick has driven the entire country. Here’s a link to the videos: http://buick.prodigy.msn.com/city/263728578/video/36.